July 4th is truly a fun time in Delray Beach! This year, the annual celebration will be filled with a host of activities including a sand castle contest, a beer garden hosted by Boston’s and Caffe Luna Rosa and of course the “all hands on deck” raising of the American Flag ceremony. Highlights this year will also include the All-American Car Show and the US Army Jazz Ambassadors performance on the main stage at 8:15 pm. And then at 9 pm, sit back and enjoy the spectacular full fireworks display by Zambelli Fireworks off a barge. The display by barge will open up more beach area for spectators to watch as the show lights up the night sky. A special thanks goes to our City staff, Police, Fire Rescue, Delray Beach Marketing Cooperative and the other community partners who worked hard to ensure we all have a fun and safe July 4th. While Independence Day is a time to celebrate the birth and freedoms of this country, we strongly urge our neighbors and visitors to make smart choices and remember that it is never okay to drink and drive. The City has launched the ‘Park Smart’ paid parking program on East Atlantic Avenue as of Monday, June 25 . Like the payment options already in place at the beach, public parking lots and garages, City residents, visitors and the business community are able to conveniently pay to park using the ParkMobile app or by using the parking kiosks. ParkMobile enables customers to enter a zone number and pay directly from their cell phone while the parking kiosk allows customers to pay for parking using cash or credit card, never having to return to the car to place a slip on the dashboard. The City is working closely with the Downtown Development Authority, Downtown Safety Ambassadors and the City’s parking management company, Lanier Parking to ensure the public is informed about the new parking changes. Also, parking staff will be in the downtown area helping customers use the ParkMobile app and parking kiosks. To learn more about the parking in downtown Delray Beach, please visit mydelraybeach.com/parking . 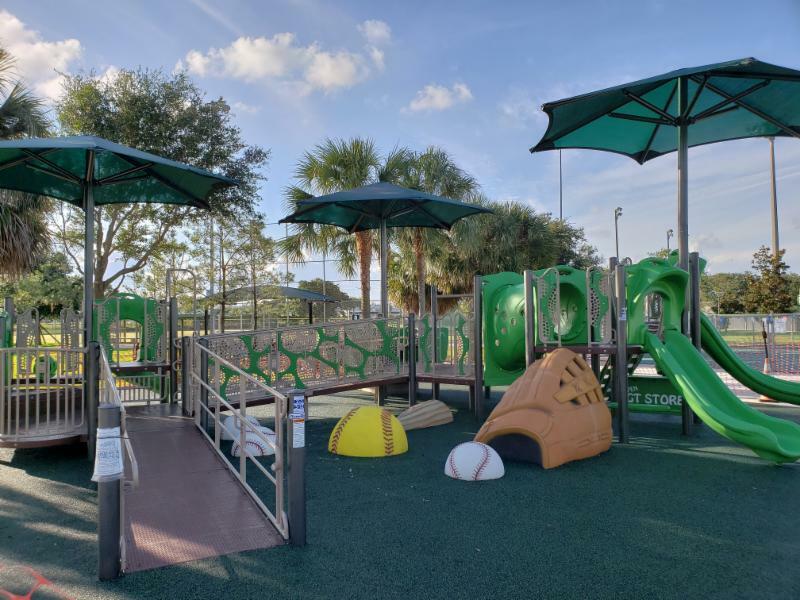 On June 27, the City, in partnership with the Miracle League of Palm Beach County, held a successful ribbon cutting ceremony at Robert P. Miller Park (1905 SW 4th Ave) introducing the Boundless Dreams Playground. This inclusive playground serves as a welcoming place where children of all abilities can play and have fun outdoors. The playground includes features such as a sunshade, a rubber surface, sensory play panels, specialized equipment for spinning and sliding and an Americans with Disabilities Act ramp. Led by the City's Sustainability Office, 14 City departments and agencies participated in the Building Energy Exchange’s “Daylight Hour” , an international social media campaign that raises awareness for energy conservation by bringing daylight into the workplace. This year, over 800 offices around the globe turned off the lights in their offices at noon on June 22 and shared photos on Twitter using the hashtag #DaylightHour to demonstrate how fun it can be to use daylight in lieu of electrical lighting. In Delray Beach alone, approximately 156,000 square feet of space was free of electric lighting for the hour-long event. This year, our very own Delray Beach Fire Rescue won the Daylight Hour’s Special Forces Award! They were awarded by the Building Energy Exchange for making the biggest impact by an emergency services agency. 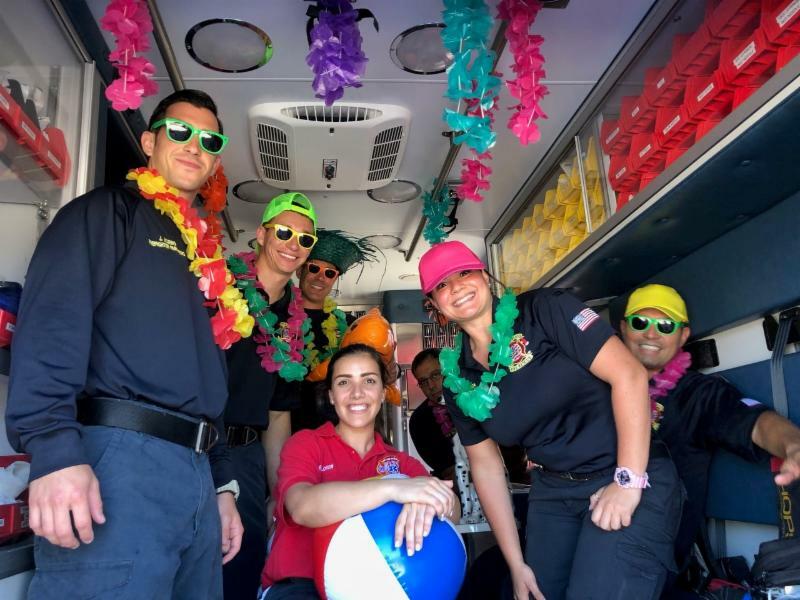 Delray Beach Fire Rescue was chosen among several other emergency agencies around the country. Mark your calendars! 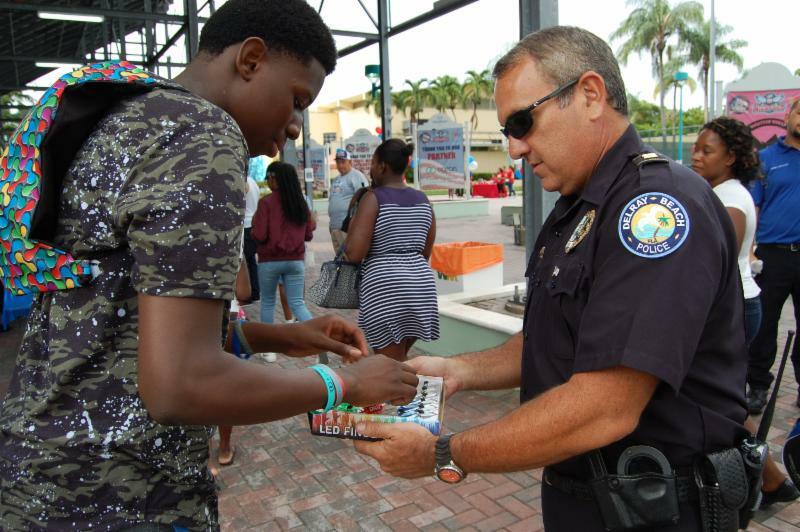 The Delray Beach Police Department is hosting the annual 'National Night Out' event on Tuesday, August 7 from 6 pm to 10 pm at Old School Square.The community is invited to come out and enjoy free food, giveaways, music and entertainment. There will be demonstrations from the Delray Beach Police SWAT, Traffic (motorcycle unit) and the Police Explorers. School backpacks filled with supplies will be given to children in attendance (while supplies last). You'll also get the opportunity to meet your city commission members, Delray Beach Police command staff and city officials. Tour the Fire Station, check out fire trucks and more! Delray Beach Fire Rescue is proud to host the next Public Safety Open House at Station 112 (35 Andrews Ave.) on Saturday, July 21 from 10 am to 1 pm . 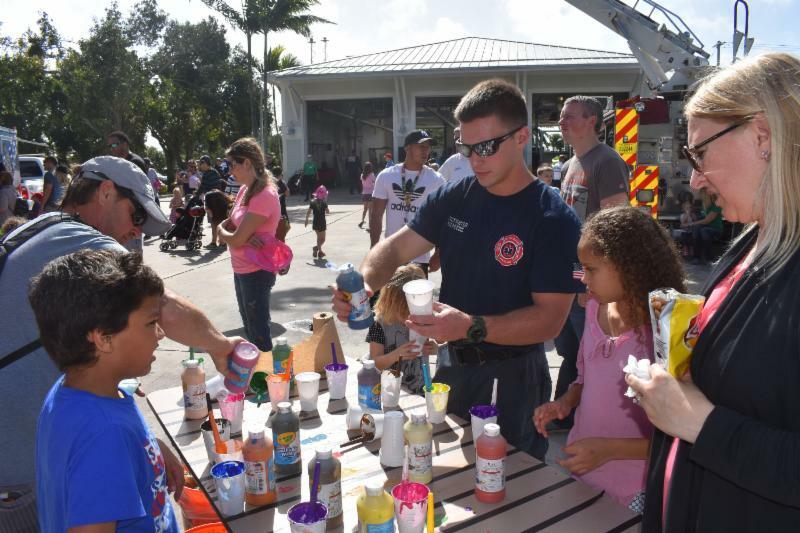 The community is invited to come out and t our the station, check out the fire trucks, participate in interactive demonstrations and meet the Delray Beach firefighters and police officers. For more information Contact Delray Beach Fire Rescue Fire Safety Division (561) 243-7425. This a family-friendly event. 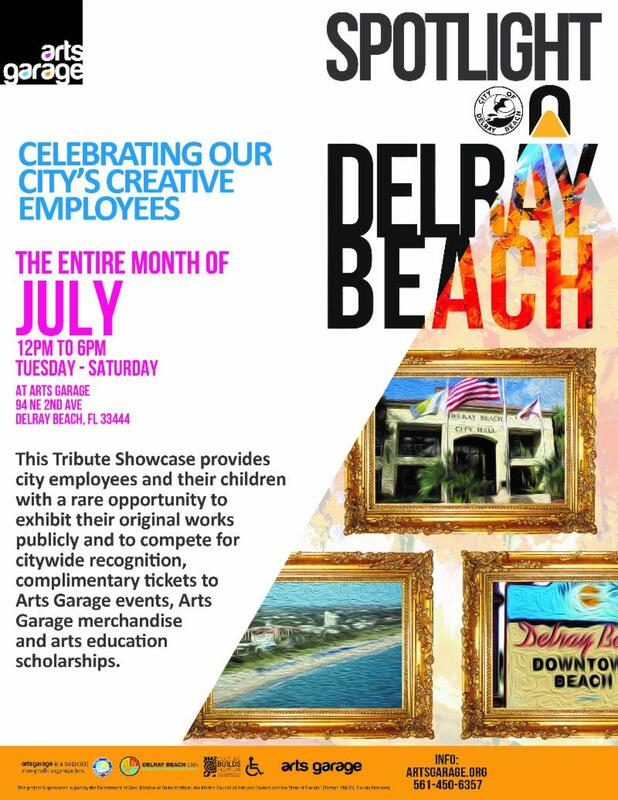 During the month of July, the Arts Garage is celebrating our City’s creative employees! The community is invited to get an exclusive look at their original work in the Arts Garage gallery from 12 pm - 6 pm Tuesday through Saturday . City employees will also be competing for complimentary tickets to Arts Garage events, Arts Garage merchandise and arts education scholarship and city-wide recognition. Come out to show your support! 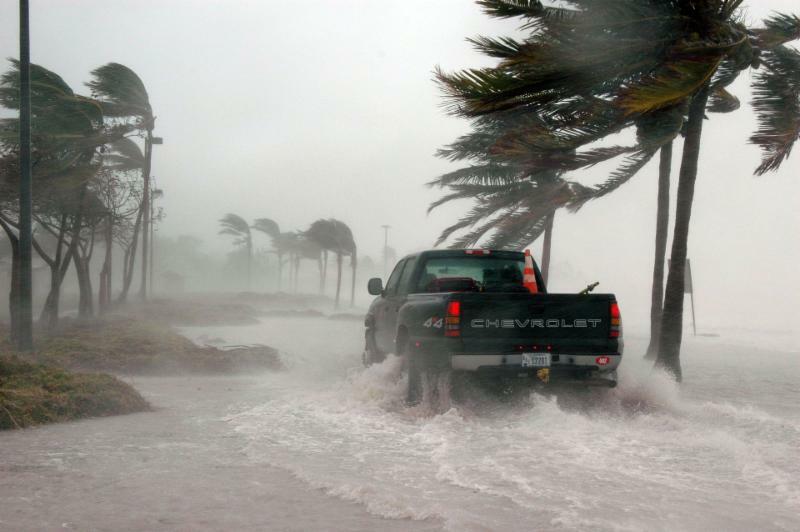 It's Hurricane Season: Are You Prepared? 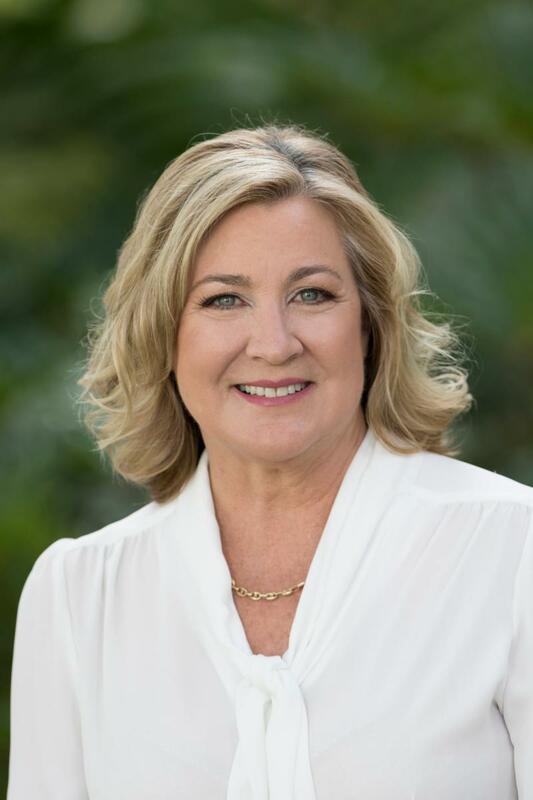 The City of Delray Beach is a participant in the National Flood Insurance (NFIP) Community Rating System, working diligently to maintain a 10% reduction in ﬂood insurance premiums for residents and businesses while carrying out ﬂood management measures designed to protect life and property from future ﬂooding. For many people, their home and its contents represent their greatest investment. Property losses due to ﬂooding are generally not covered under most standard homeowners’ or renters’ insurance policies. We would like to encourage you to consider ﬂood insurance for your property whether you are an owner or a renter, as you prepare for future contingencies.The City continues to work toward the goal of achieving even greater ﬂood insurance premium discounts in the future. To ﬁnd out more about ﬂood insurance for your property and/or its contents, please contact your insurance agent, or contact the City of Delray Beach Building Division by calling 561-243-7207. City Hall will be closed on Wednesday, July 4 in observance of Independence Day. *NOTE: Unless otherwise stated, all meetings will be begin at 6 pm in City Hall. From Monday, May 14, 2018 through Friday, August 31, 2018, State Road A1A (South Ocean Boulevard) between Linton Boulevard and Casuarina Road will have lane closures including bike lane and pedestrian sidewalk closures between the hours of 7:00 am to 7:00 pm, Monday through Friday for construction activities associated with the City's Reclaimed Water Main Expansion project (Area 12C). On Wednesday, July 4, beginning at 1:30 pm, east Atlantic Avenue will be closed to vehicular traffic from the east side of NE/SE 7th Avenue to Ocean Blvd/SR A1A, including all side roads for the July 4 Celebration. In addition, Ocean Blvd/SR A1A will be closed from the south side of Thomas Street to Bucida Street. Road closures will remain in effect until approximately 11 pm. All southbound traffic on Ocean Blvd/SR A1A will be detoured via George Bush Blvd/NE 8th Street to US1/Federal Highway. All northbound traffic on Ocean Blvd/SR A1A will be detoured via Linton Blvd to US1/Federal Highway. For more information on road closures and construction notices, please contact the Public Works department at 561-243-4104.